Tukums ( pronunciation ; German: Tuckum; Livonian: Tukāmō) is a town in Latvia. Three regions of Latvia meet in the vicinity of Tukums – Vidzeme, Zemgale and Courland. 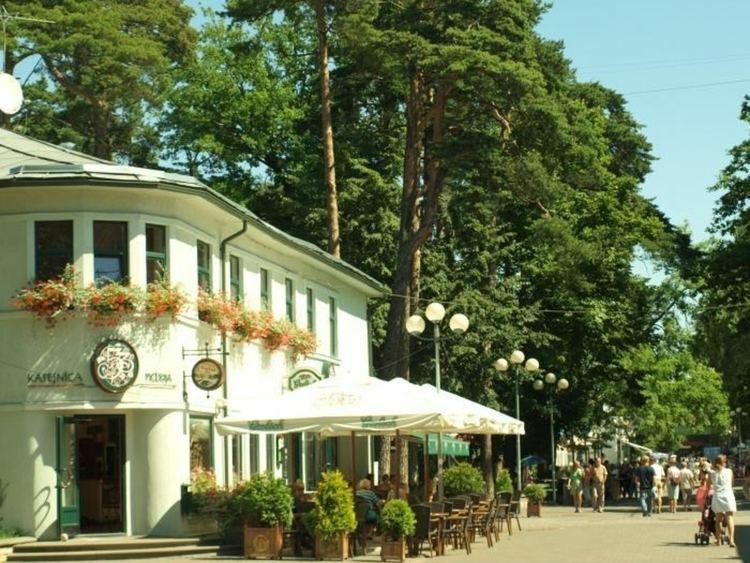 The historical center of Tukums developed between trade routes leading from the mouth of the Daugava River to Prussia. The oldest part is today's Talsi Street that originated at the river named Zvirgzdupite where there used to be a castle mound with a wooden castle. Since 1253 Tukums was ruled by the Livonian Order. A masonry castle was built on the bank of the Slocene river in the end of the 13th century. The castle was surrounded by settlements of German tradesmen and craftsmen. A marketplace was formed in front of the castle and some new streets appeared later running in various directions from the market place. With the development of trade in the 16th century a new straighter trade route to Prussia was built along a new street that is called Liela (large) Street today. This street had an important role in the life of the settlement. Public buildings, major business, workshops and shops were concentrated in it. After the disintegration of the Livonian Order a new state, the Duchy of Courland and Semigallia was established. Like many other settlements Tukums had suffered greatly the numerous feudal wars. Under the rule of Duke Jacob (1642–1682) Tukums experienced a rapid economic boom. At the time a new trade route from Tukums to Jelgava, the capital of Duchy of Courland and Semigallia, was opened along today's Jelgavas Street, and another route was made along today's Raudas Street towards it. A dam was built and a lake made near the road to Jelgava. A flour mill and a cooper furnace started functioning there, and cooper was exported to foreign countries. The town, inhabited by only 800 people was quite small. The new adornment of Tukums was the lake. The church spire was another landmark added to the skyline in 1687. After 1795 Courland was incorporated into the Russian Empire. In November of the same year the Russian Tsaritsa Katherine signed a document to divide Courland into regions and to grant regional center rights to several urban settlements, Tukums being one of them. The town borders were marked in 1800 and the first urban map was made only two years later. The town continued growing. It included 131 private houses, mostly wooden, and 6 pubs. There were 690 male and 832 female inhabitants. The first school was opened in 1806. Street pavement was introduced in 1860 and street lighting started in 1875. A more rapid development of the town was observed after the opening of the Riga-Tukums railway line in 1877 and of another line connecting Tukums with Ventspils a little later. 24 enterprises were functioning in Tukums in 1897: tanneries, wood carding-mills, a glue plant and also pottery and food production facilities. The two windmills brought out the uniqueness of the townscape. The town grew with the development of industry. Two new districts appeared. The rich built their houses in the eastern part around Elizabetes, Pils and Baznicas Streets, but the workers settled more to the west, forming an area of small houses surrounded by gardens. This part of Tukums was further developed during the year in 1935. In the beginning of the 1930s there were 8000 inhabitants and 73 functioning industrial enterprises in Tukums. The Engure parish by the city was host to the Soviet Navy Tukums air base. In 2010 the conversion of the base to a civil airport started. Jaunpils Castle is the only fortified castle of the Order of Livonia that remains in Latvia. It was built in 1301. An exhibition hall and museum are located there on the history of the district. Jaunpils Lutheran Church which was built in 1592 is located near the castle. Jaunmoku Palace (1901), 5 km (3 mi) from Tukums, surrounded by the Courlands hills, hosts an exhibition on forestry. Jaunmoku Palace is a combination of Art Nouveau elements and Neo-Gothic forms and was built as the country residence of George Armitstead, mayor of Riga (1901–12). Durbe manor house, (Latvian: Durbes pils) rebuilt in 1820, is a classical style palace, surrounded by a landscaped park. 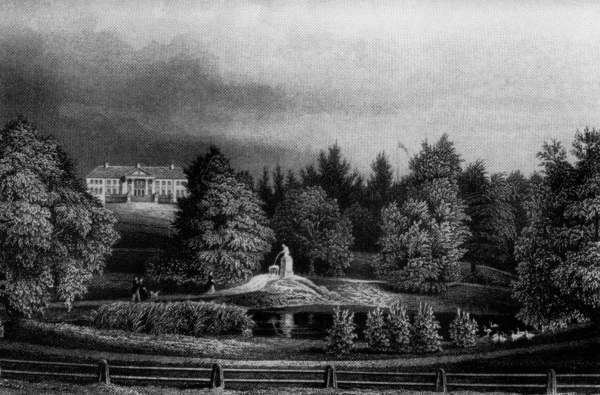 A stone bridge across the ravine and a rotunda are located near the manor house. The Schlokenbeck estate ensemble in Milzkalne, dating from the 15th century, is the only fortified manor house in Latvia. A museum on the history of broad building techniques and an exposition of horse gear is set up there. In Zante region there is the highest peak of Tukums district – Smiltinkalns (153m), in the center of Zante there is a Red Army tank, evidence of the battles in "Courland Pocket" in 1944–1945. The country of Zentene and Seme has the northern landscape of Courland – hills, curved roads, objects of nature and places of culture history. The seashore of Tukums district has a length of 50 km (31 mi), where old fishermen's huts alternate with modern villas, and sandy beaches interchange with rocky shores and meadows. Kandava was the capital of the ancient Couronian state of Vanema. In the beginning of the 13th century, German knights built their castle there, though not much has been preserved from that time. In the Middle Ages, Kandava underwent numerous wars, fires and plague epidemics. The Kandava hills are covered with dense forests and the Abava Rapids of the Abava River. Kandava marks the beginning of the run of the Abava Valley, which was named the "Switzerland of Courland" as early as the 19th century. Viktor Tsoi, Soviet Rock band Kino leader died near Tukums.